in a matter of seconds in FCPX. 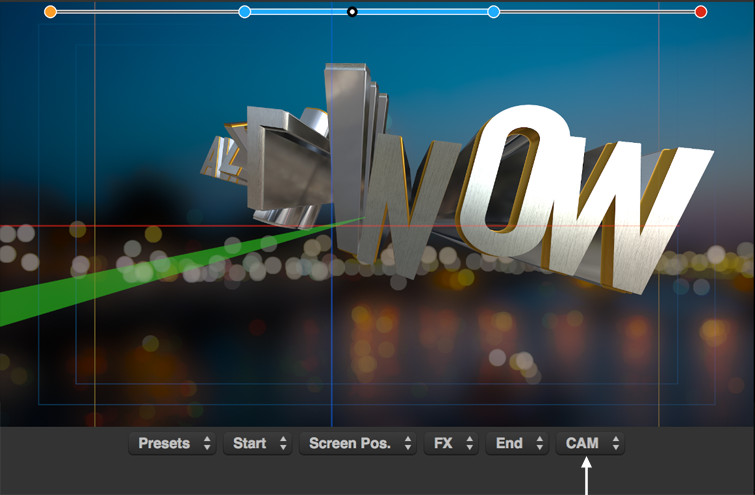 Funtextic is a powerful tool for 3D text animations in Final Cut Pro X that is easy to use and understand. Thanks to its intuitive interface you are able to control where and how the text is moving at any time throughout the length of the animation, providing creative control at any stage of the process. Lots of options and Presets. Funtextic comes with several pre-animated presets, giving you the ability to simply choose the animation of your liking, enter your own text, and tweak if needed. The Preset capability built into Funtextic gives you plenty of control to create unique moves in a very short time, and save them as your own custom presets for later use or share them with other Funtextic users. You can select a Preset for the whole animation, or you can mix, add or combine presets to modify parts of the animation with simple selections. 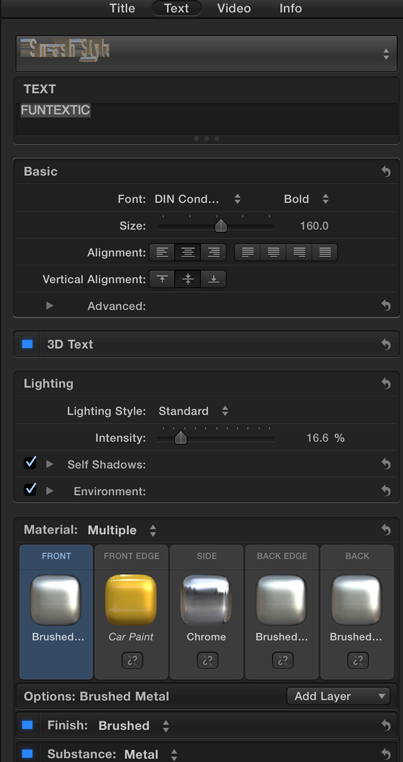 Funtextic is fully compatible with the Text appearance controls built in Final Cut Pro X, and you can also use any of the 3rd party styles already available in your toolset . Funtextic comes in one simple title template found in the Titles Browser under the Funtextic category, or in the Themes browser under the 3D Text category. Funtextic comes in the form of a Title element so that you can select any length for your animation, or span accross multiple clips if that's what you want. 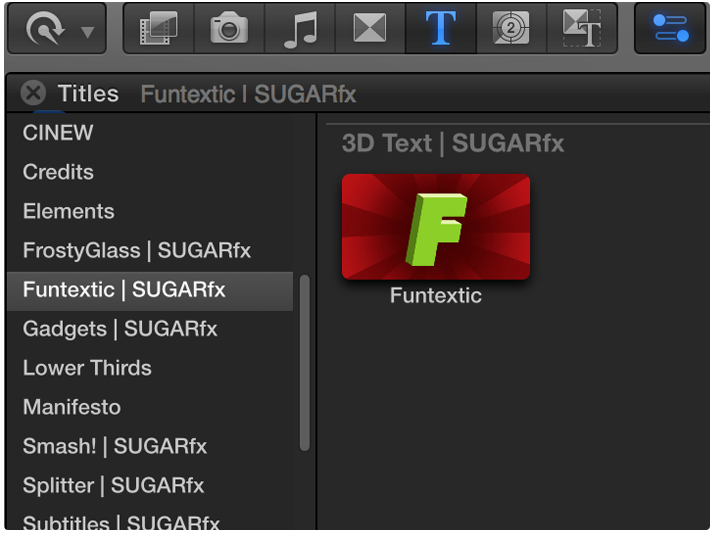 Funtextic uses the FCPX built-in 3D text engine to generate great looking text styles, and you can easily edit the appearance of your 3D text either by tweaking its parameters or choosing among the styles that you may have available or from the SUGARfx Funtextic collection available to registered Funtextic users. Funtextic gives you full control of the key positions to obtain the animation just as you envisioned it. You can set the animation the way you like. Make adjustments at any point in the animation without the ripple effect of affecting the rest of your animation. The on-screen timeline guides you in the process of creating your own animation in a simple, yet effective method to get the job done quickly and looking nothing less than professional. The color coded parameters help you identify exactly what you are animating at any given time along the duration of the animation with accuracy and predictability. Use an existing Preset and modify it simply by adding or mixing other presets to enhance the animation with special effects or interesting camera moves. 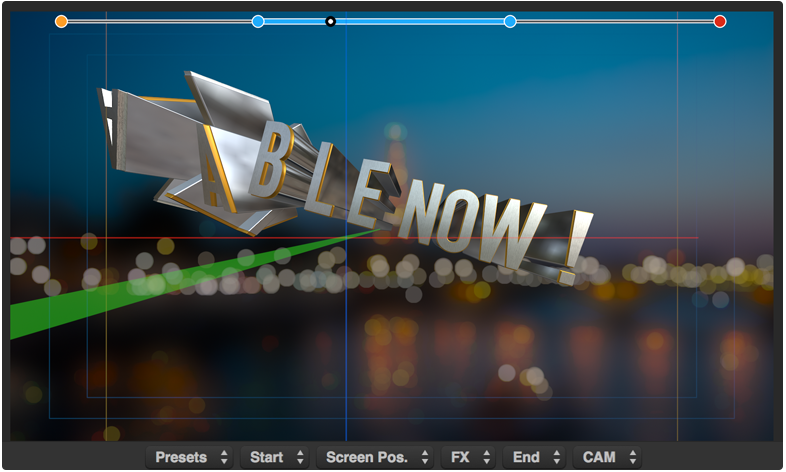 You also have the option to use all the parameters to animate the position, rotation, tracking and other aspects of the text object behavior, add a custom camera move in any angle or direction, add automatic blur or high quality defocusing to the background and other animated effects. You have all the power you ever wanted, if you need it. If you have a basic understanding of a 3D environment, you will appreciate the fact that the 3D coordinates are also visible when the OSC and Guides option is enabled. These tools can help you achieve more complex and interesting moves to create unique animations, and save your settings as your own Presets for later use. – Select and combine 3D Text object or individual Character animation. – Preset creation, preset mixing and easy modification. – Selection of Character, Word, Line and Text when animating characters. – Consistent and predictable adjustments. – Ripple-free adjustments during animation key moments. 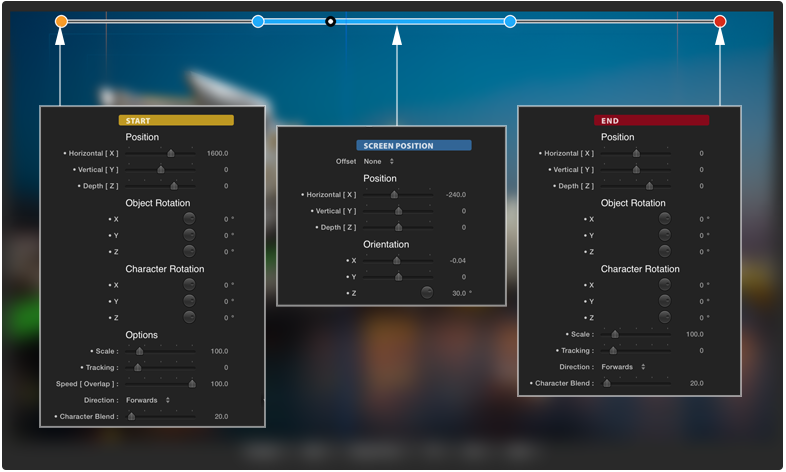 – Camera lens distortion in a slider selector. – One Title template fully modifiable and customizable. – Optional background Blur or Defocusing with high quality bokeh simulation. 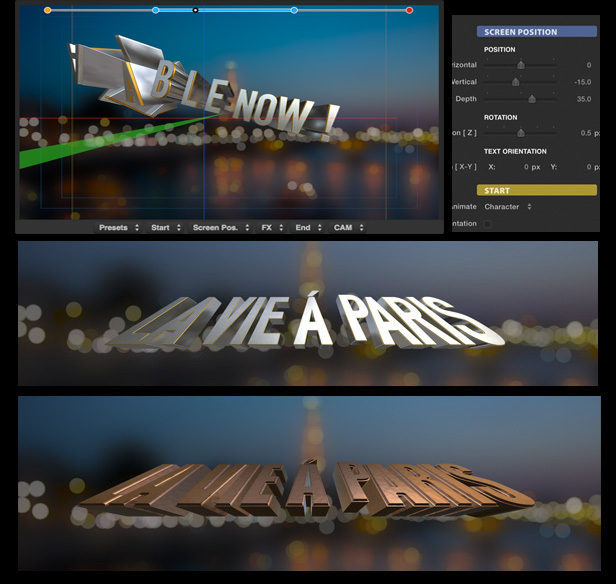 – Full 3D text appearance control via the FCPX built-in 3D text generator. – Expandable and Simplified parameters to use what you need and not more.